A Bend institution so popular you can visit it twice (they have a brother location on Galveston Ave), Brother Jon’s Alehouse is downtown right across from the original Deschutes Brewery location. With a full bar and an Alehouse Bloody Mary that gets a lot of positive reviews online, they feature a different blue plate special each day of the week. You know a joint is not messing around in the kitchen if their bacon was voted “Best Bacon in Bend” by the source, and that also makes for one mean BLTA. 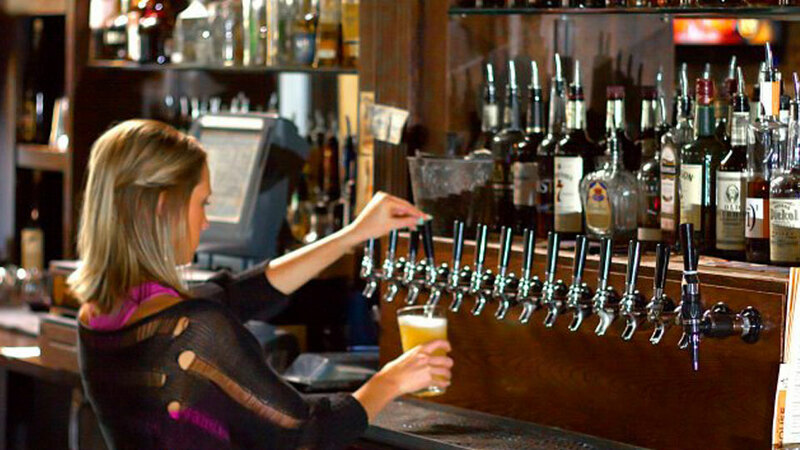 Brother Jon’s rotates through 17 craft beer tap handles regularly, 16 on CO2 and one on nitro. Check their Facebook page for their daily chalkboard specials and prepare yourself to meet a lot of locals; “Bro Jo’s” gets a ton of traffic from Bend residents. Open until midnight on Fridays and Saturdays, they’re a great place to get a late-night bite on the weekend.